Makara Beach village, Warehou Bay and Ohariu Bay, with Mana and Kapiti Islands distant. Meridan Energy Project Westwind wind turbine foreground. 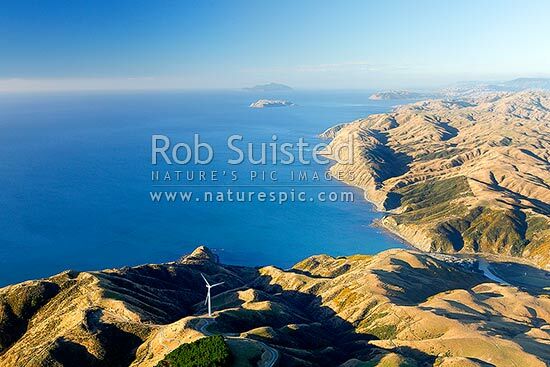 Aerial view, Makara Beach, Wellington City District, Wellington Region, New Zealand (NZ), stock photo.